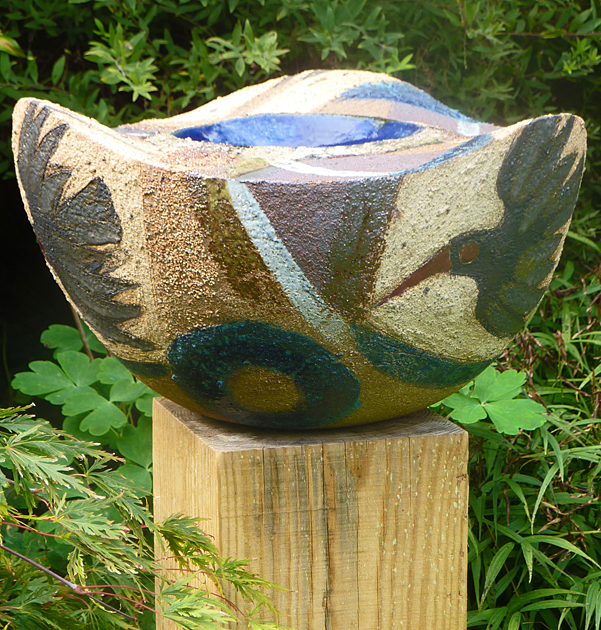 I gained my degree in ceramics at Bournemouth and Poole college of Art under David Ballantyne. During this time I worked for David Leach and won a Travelling scholarship and visited Sweden. After my degree I did a Dip Ed at Bretton College of Education.I then worked for Mary Rich in Falmouth for a year gaining valuable experience and practice for running my own workshop. 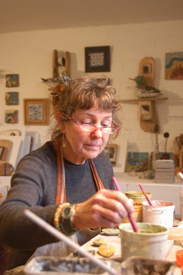 I set up my first studio near Newbury in Berkshire making largely domestic and selling to craft shops and galleries. I demonstrated at Art in Action for several years. I had been interested in making individual tiles and, as I drew and painted more, these became very decorative. I started to make large tile panels to commission during the eighties and nineties. 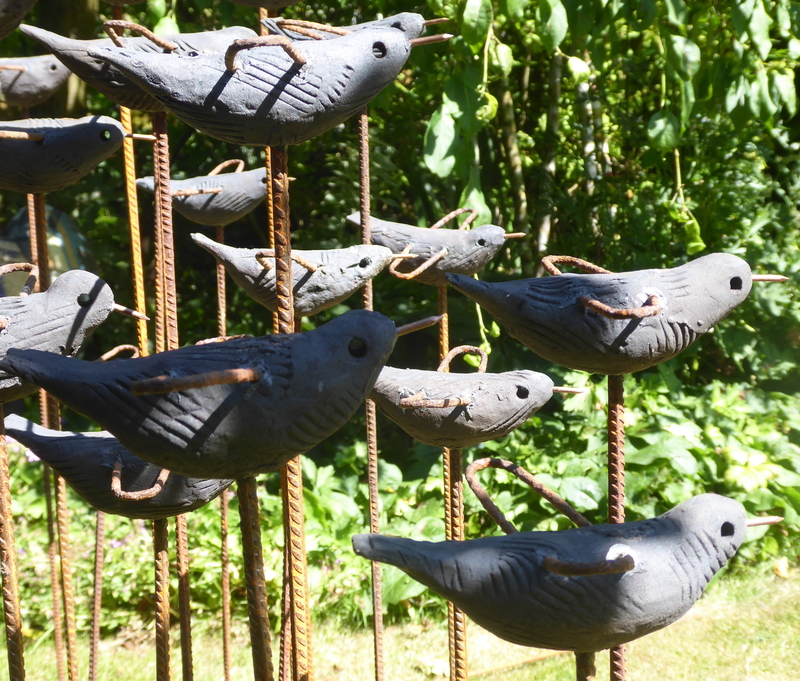 These were usually based on the English country side and their flora and fauna. 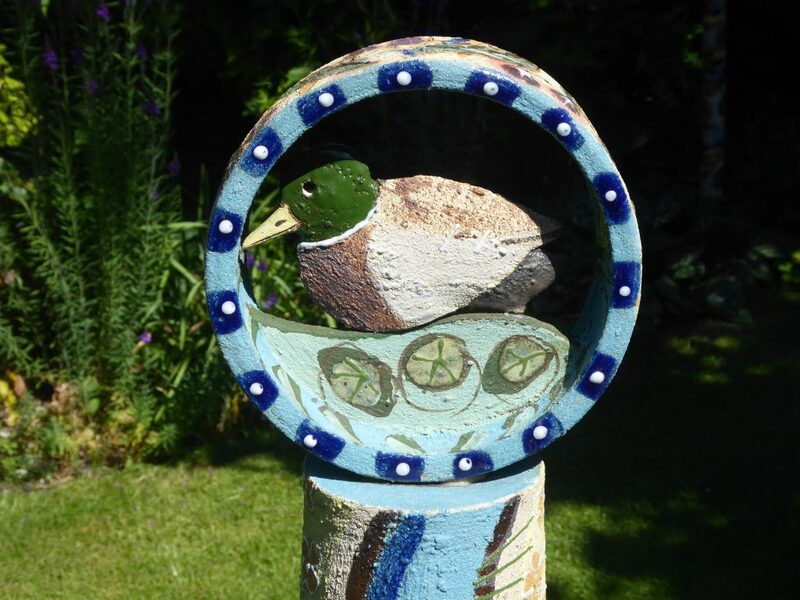 A visit to Vancouver inspired me to make Totems and other pieces for the garden, which I continue to do along side other one-off pots and tiles.